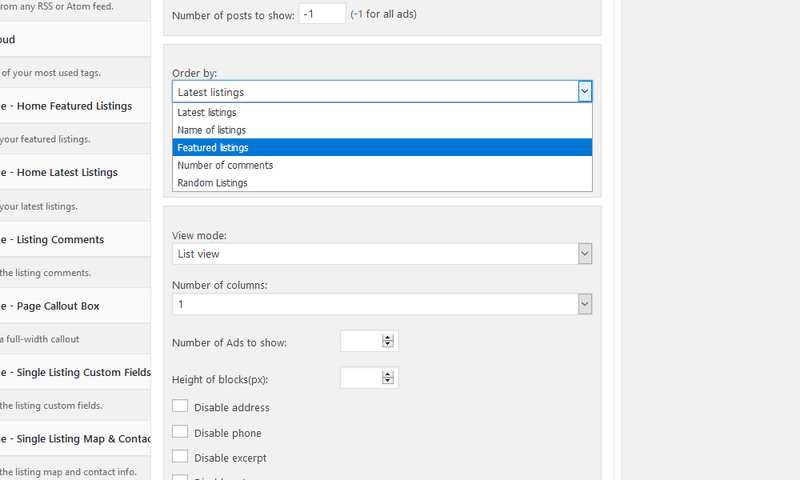 Display listings from specific category (or categories) by using a full-features filter widget. 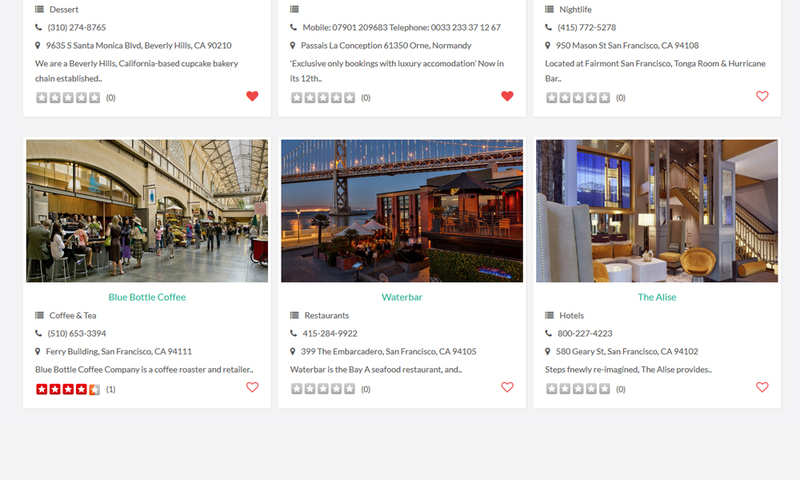 This plugin is the perfect choice if you want to fill the home page or any sidebar with organized listings and split them into sections, and displaying them into grid mode , list mode, or even a slider. 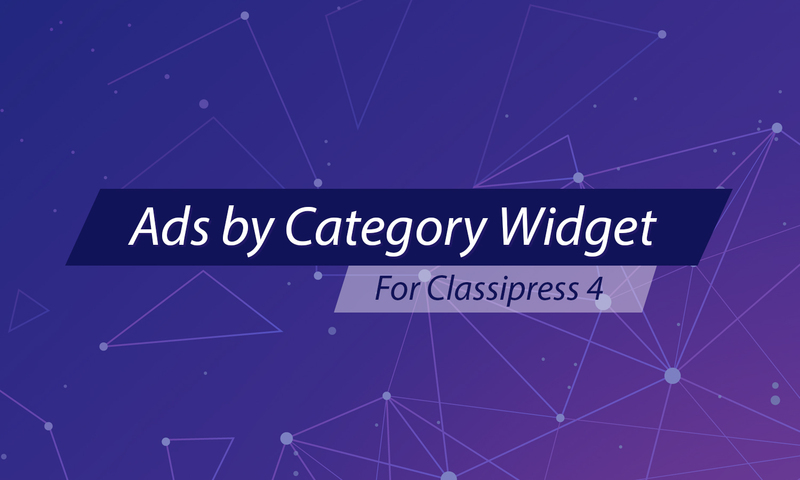 The Widget is packed with lot of options. 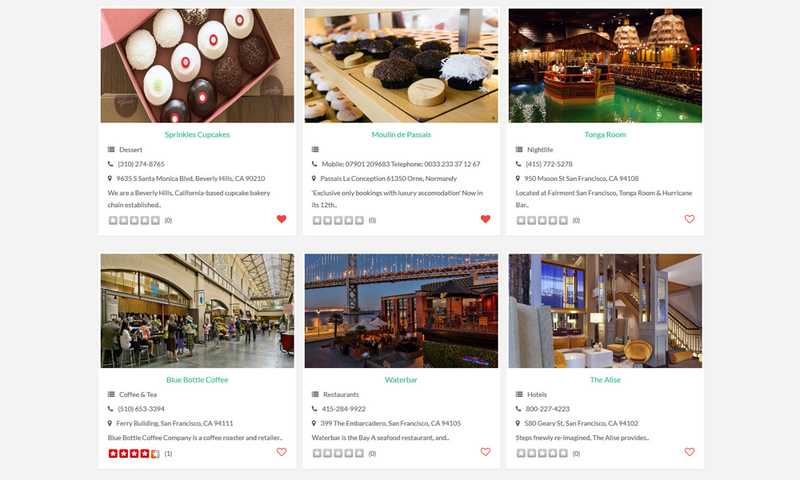 Slider , Grid or list View, all come with backend settings. A link to view more ads (Good for SEO interlinking). Customized grid blocks by adding the rating and the favorite options. Set the title of the section (block of listings). Set the number of ads to show. Select the category (or categories) to pick the ads from. 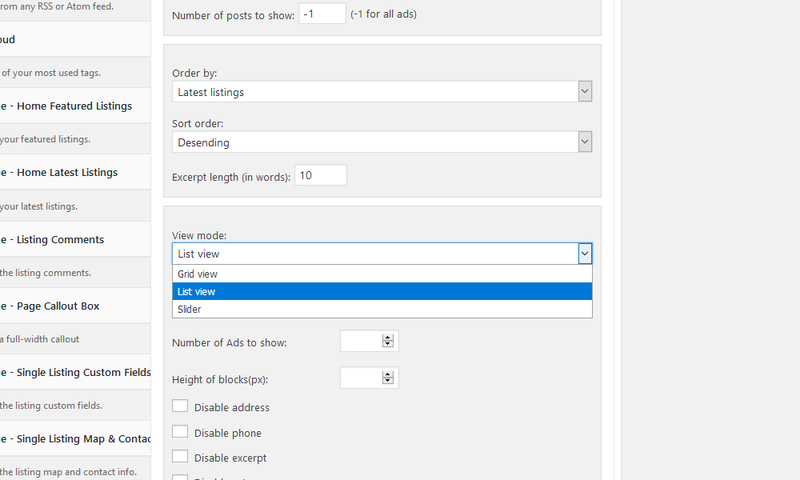 Select the type of ads (order): Featured ads, Latest ads, Random ads or by name. Set the number of the ads/grids to show per row. Set the view mode: Grid view, List view or Slider. Sort ads randomly or by date. Set a “View all” button with an option to paste a custom link. You can display as many custom widgets as you want , on the home page or any widget area (sidebar). Each view mode has its special options within. 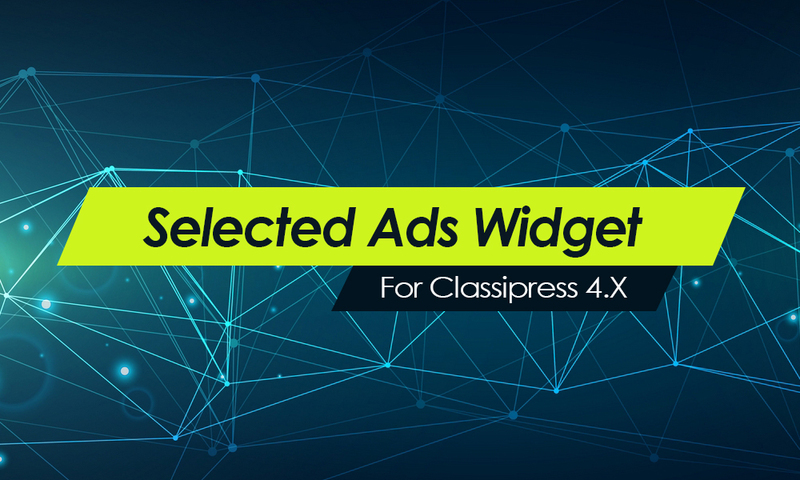 You can use this plugin on as many websites as you want. The plugin works perfectly with Vantage 4.x. Q: Can I place the ads on any page? A: Yes, You can, on any sidebar on the home page or the inner pages. Q: How many widgets can be placed at the same area? A: You can add as many as you want. O desenvolvedor está de parabéns! Fantástico!!! No futuro, se tiver como ter um shortcode para inserimos em qualquer página, vai ficar ótimo!!! we already started implementing the shortcode option. How can I filter only on Featured listings (not only order by them, but display only them) ? And I need to display them randomly. Do you see a little custom I could do ? Would you plan that in your backlog ? The order by featured is actually displaying featured ads.but I agree with you, we must have it as another field so the featured + random can work together. I am going to create a ticket to implement it in our next update which you’ll get it instantly on your websites. Would you have a release date of this next version ? [New field for Featured] + [Use of shortcodes among the new changes] would be great ! We have already started working on the shortcodes. I have no ETA for that, and for example, I am working personanly on the featured one, I almost finished it, then I will give help to my coworker on the shortcodes one. I will let you know when I get something in hand. [New field for Featured] + [Use of shortcodes] among the new changes would be great ! Allow to not include the images in the widget by compressing them in width. Currently they are “squared”, and that look a bit weird on some width screen (compressed or extended). Maybe could you manage it by simply zoom on the image like in the original Vantage listing feed (I think it does not matter if we cannot see the whole image). I hope my description is clear enough ! Thanks for your suggestion, Laurent, I will look into that too. => Let the Admin custom the background color of the plugin thanks to a #hexa code color. (I know that other plugins are made for that but having it inside your plugin would be great). When activated, it breaks the “Vantage – Single Listing Author” Widget. As a result, the displayed data in the widget are not those from the Listing’s author, but those from the Admin of the site. When could you fix that please ? You mean on the home page?? can you please share the url? because our plugin works only on the home page for now, and only if you activate the widgets. Do you have a Pro email where I can send you the example please ? Thank you. I just sent you a mail. 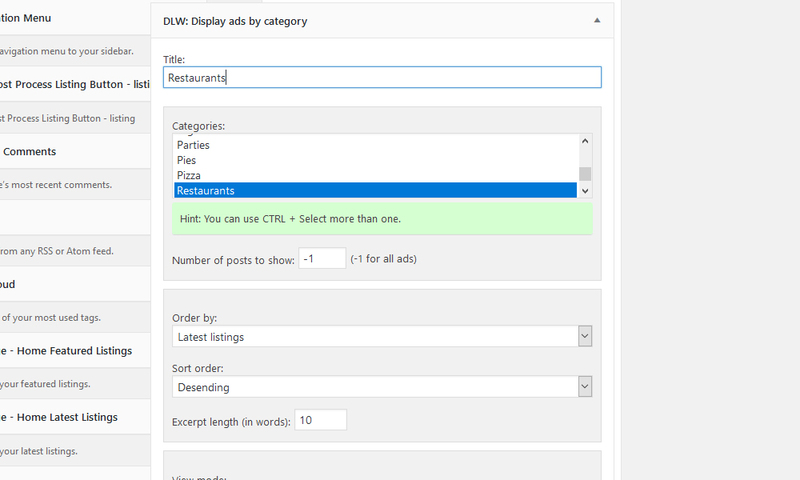 Display ads from specific category or categories by using a filter widget. 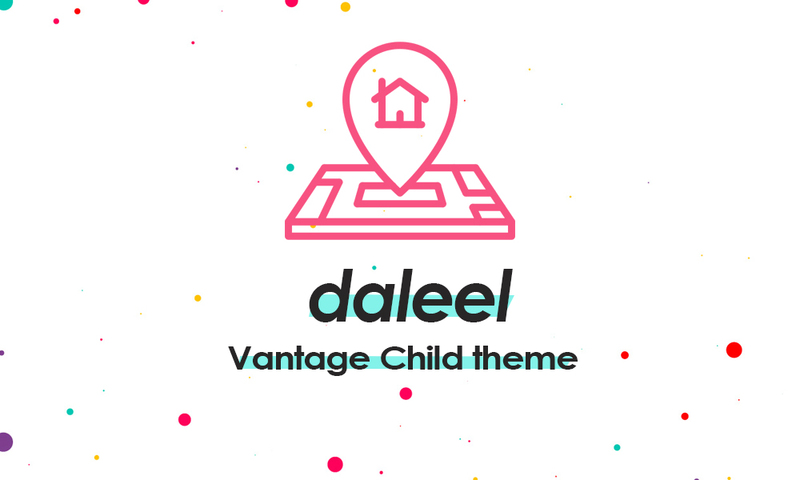 Daleel is a fresh and clean Child theme for Vantage 4.x.